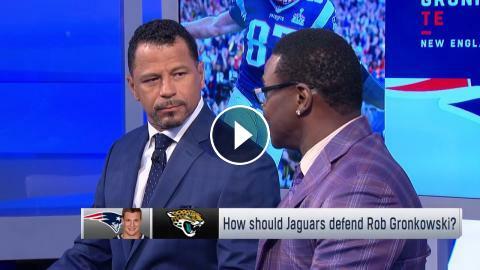 ﻿ How should the Jaguars defend Rob Gronkowski? How should the Jaguars defend Rob Gronkowski? Jaguars CB Jalen Ramsey: "Playing against me is making Jaguars receivers the best in the NFL"
What's the likelihood of the New England Patriots trading Rob Gronkowski? Is Mike Gesicki the next Rob Gronkowski? What is Rob Gronkowski's future with the Patriots? How much does Rob Gronkowski have left in the tank? How badly do the Patriots need TE Rob Gronkowski? Tom Brady: "Rob Gronkowski is probably the best tight end ever"